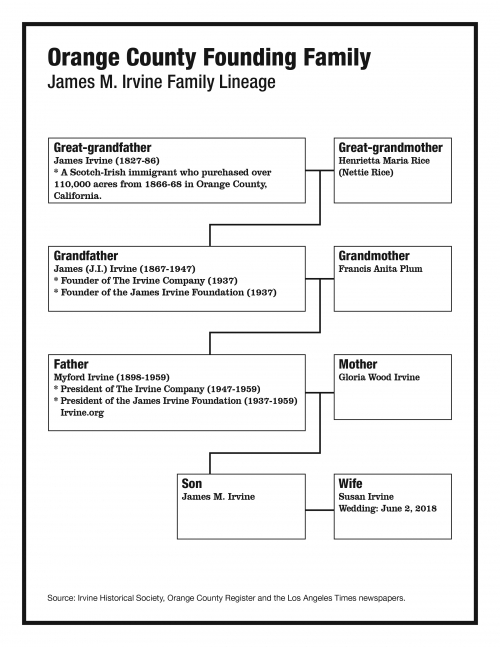 Come and Celebrate Susan Irvine's 57th Birthday! Birthday Luncheon to follow at Hectors on Broadway. Please RSVP so we have a head count! Meet for tour: Meet on 1st Floor in the grand foyer north side Entrance. Our tour guide will begin the Private Tour along Sycamore Street. The tour will be approximately 45 minutes. *There is only metered parking available in the lot off of Civic Center, and the surrounding area. *There are also two pay-to-park structures located on North and South Sycamore Street. Ladies meet at Coto Golf and Racket Club Right Parking Lot. * You are the gift! 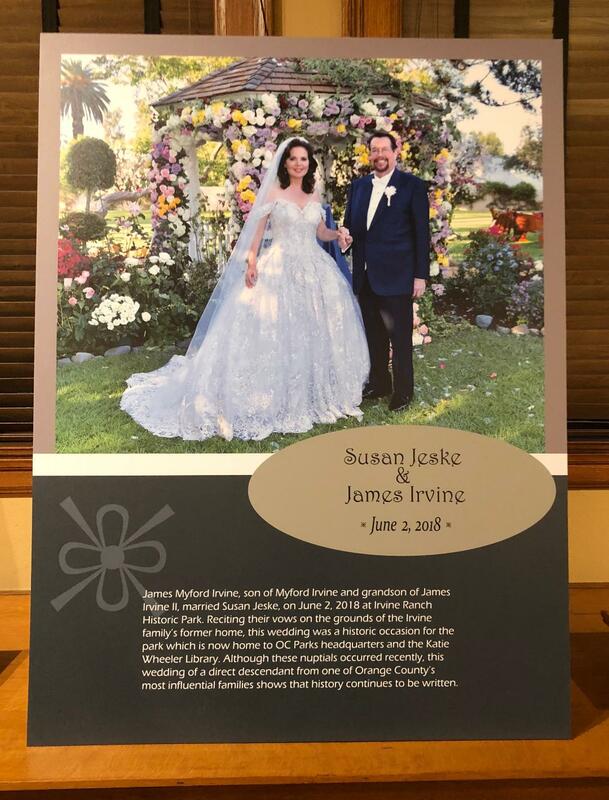 James Myford Irvine, son of Myford Irvine and grandson of James Irvine ll, married Susan Jeske, on June 2, 2018 at Irvine Ranch Historic Park. Reciting their vows on the grounds of the Irvine family's former home to OC Parks headquarters and the Katie Wheeler Library. Although these nuptials occurred recently, this wedding of a direct descendeant from one of Orange Count's most influential families shows that history continues to be written.